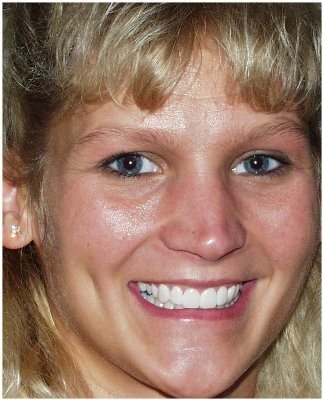 The work below was done by Dr. David Hall, author of this site and accredited cosmetic dentist who practiced in Cedar Rapids, Iowa. 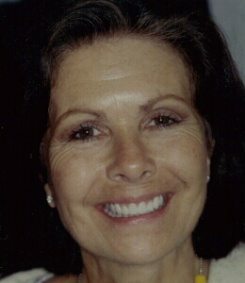 We have another page of photos of porcelain veneers by some of our mynewsmile.com referral network dentists, and another page of porcelain veneer pictures. 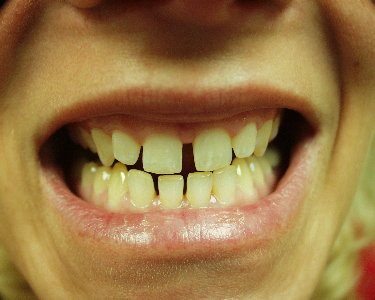 Click here for basic information about porcelain veneers. The patient above is a professional singer who wanted to get her career back on track. Cielle felt inhibited in her singing for fear of showing her chipped, discolored teeth. 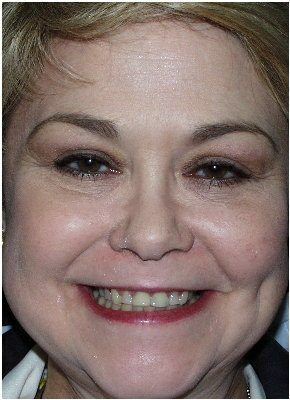 Dr. Hall did eight porcelain veneers on the upper, replaced all of the amalgam fillings in her mouth with beautiful composite fillings, restored and bleached the lower teeth, to give her this lovely result. After this work was completed, we wished her well as she moved back to Hollywood to revive her dream. Below, the close-up pictures show how real the work looks. This work was performed by Dr. David Hall, the author of this site, when he was a practicing cosmetic dentist in Cedar Rapids, Iowa. 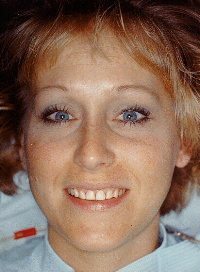 The “before” picture above shows a patient with chipped and eroded teeth. Her smile seems hesitant. 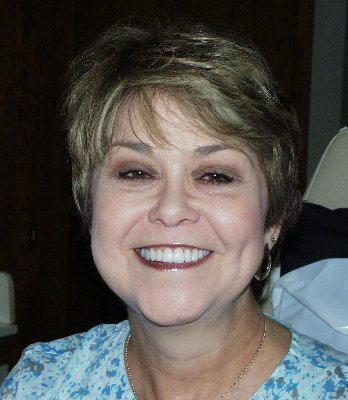 After placing porcelain veneers, not only does she have a beautiful smile, but her smile is more spontaneous. This is why we enjoy so much performing this kind of service for people. This work was performed by Dr. David Hall. You may think these pictures above were doctored, but they’re not. Tashia, above, was very unhappy with her smile. She had us bleach her teeth and place eight porcelain veneers, beautifully crafted by master ceramist Uri Yarovesky and placed by Dr. David Hall. She hardly looks like the same person! Some dentists think that we must have moved the teeth orthodontically to be able to get these results, but we didn’t. There were only three appointments: a preparation appointment, a short try-in to verify that we would be obtaining the results Tashia wanted, and a longer bonding appointment two days later. Kitteile was suffering from severe tooth wear and resultant facial collapse. 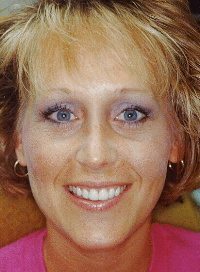 We re-built her entire mouth, restoring her normal facial height, and gave her a new smile. She’s tremendously happy with the results. The porcelain work was done by master ceramist Solomon Abezis, who was working with Uri Yarovesky in Agoura Hills, California. 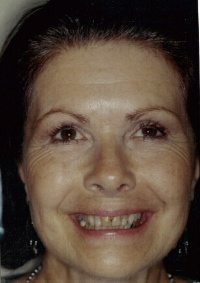 Results similar to these pictures can be obtained by accredited and trained cosmetic dentists across the country. For a list of dentists trained in these procedures, please see our referral page.